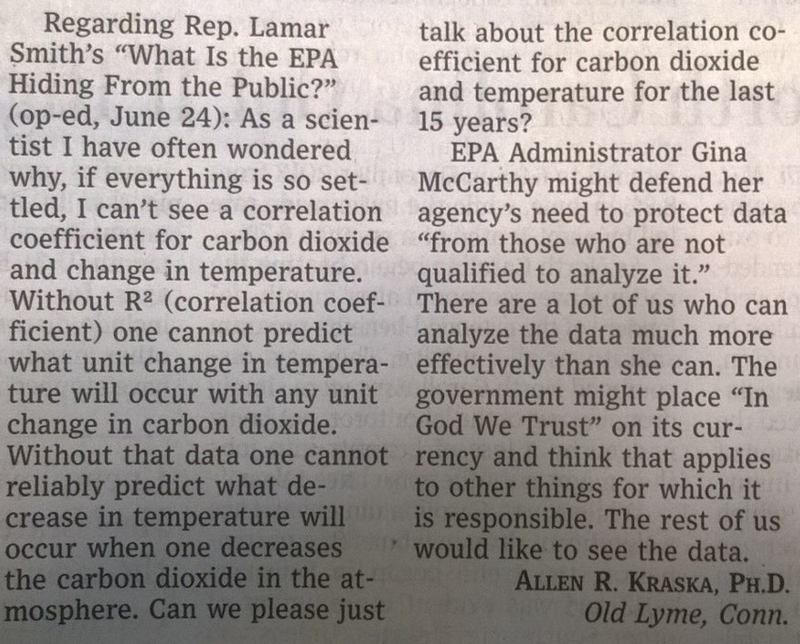 With out having the EPA data it is impossible to calculate the r relationship. Figure 2. 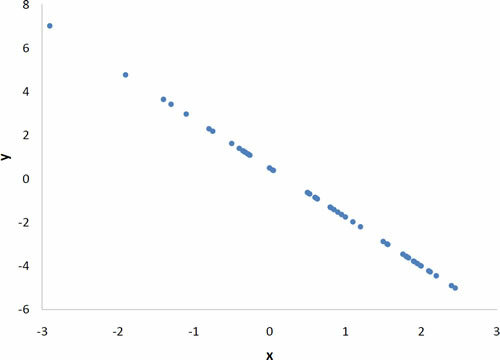 A perfect negative linear relationship, r = -1. 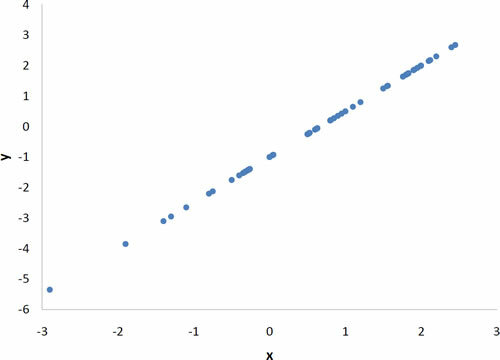 It is more likely some factor in between 1 and -1, and could even be a number greater than zero which would indicate some positive relationship. But, we will never know unless the EPA releases the data so that a qualified third party scientist can do the analysis. For now, I think we can conclude they have something to hide. 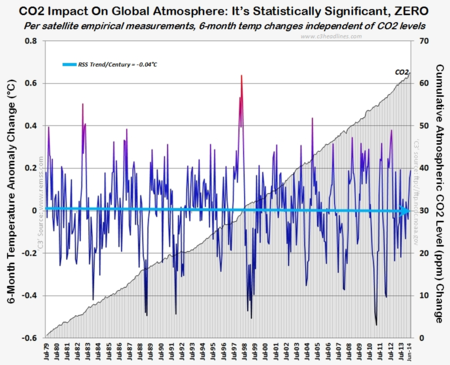 This entry was posted in Analysis, Climate, Climate Change. Bookmark the permalink. I love that when they pull the line that others are not qualified to analyze the data. They forget that Einstein wasn’t qualified to produce the physics that he did. How could he be qualified, the field didn’t exist until he created it. The problem he had at first is the few others were even able to follow his work until they learned from him. We are not a bunch of dummies and if we don’t understand something, we are smart enough to learn. This is like a used car man saying “Trust me”.